Racing fans, pay attention. Unfortunately, Codemasters has announced that F1 2015 will be delayed four weeks and now be released on July 10. Although to make up for it, the developer has released the very first gameplay trailer for your viewing pleasure. F1 2015 was originally slated to touch down June 12, however Codemasters has officially pushed its release back to July 10 instead. We don't know the reasons why, but nevertheless, the blow has successfully be softened by the release of a brand new gameplay trailer. It's got us much more excited for the latest entry in the racing game series, check out the video below. You can catch a glimpse of the weather effects, cockpit cam and courses such as Silverstone and Monaco. But maybe the most impressive thing is the drivers' likenesses, with Lewis Hamilton's digital counterpart being particularly bang on. Codemasters has previously talked up F1 2015's "all new version" of the EGO engine and said it aims to deliver the "ultimate Formula One video game experience. Visually, it says F1 2015 will "act as a significant step forward in the game's visuals and physics-based handling model." Elsewhere, it was revealed that UK pre-order customers will receive anF1 2015metal case and the 'Race Like A Champion' guide book with various hints and tips. 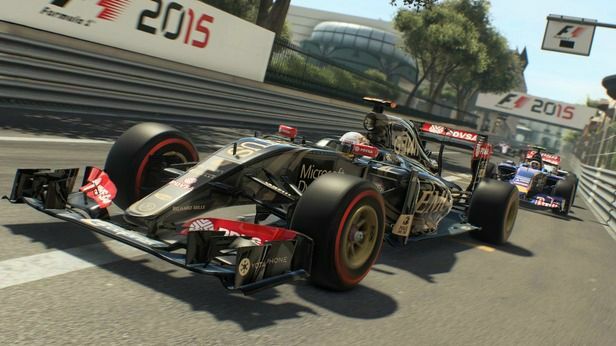 Set the date; F1 2015 will be released for PS4, Xbox One and PC on July 10.